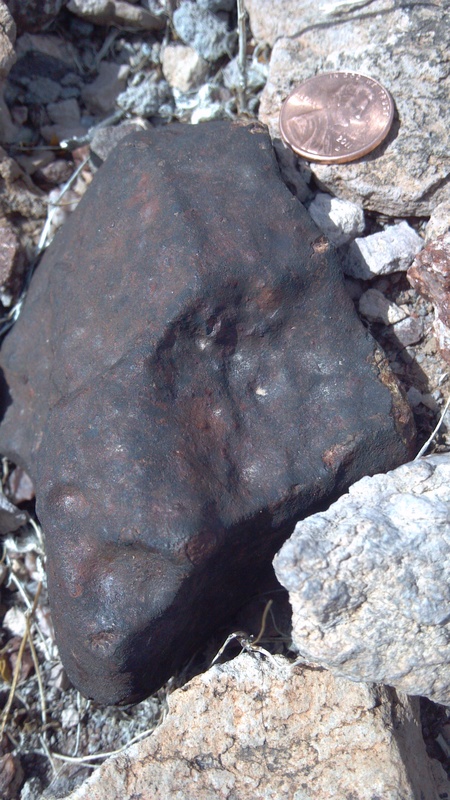 The Bullhead City adventure has been one of those experiences that meteorite hunters dream of. 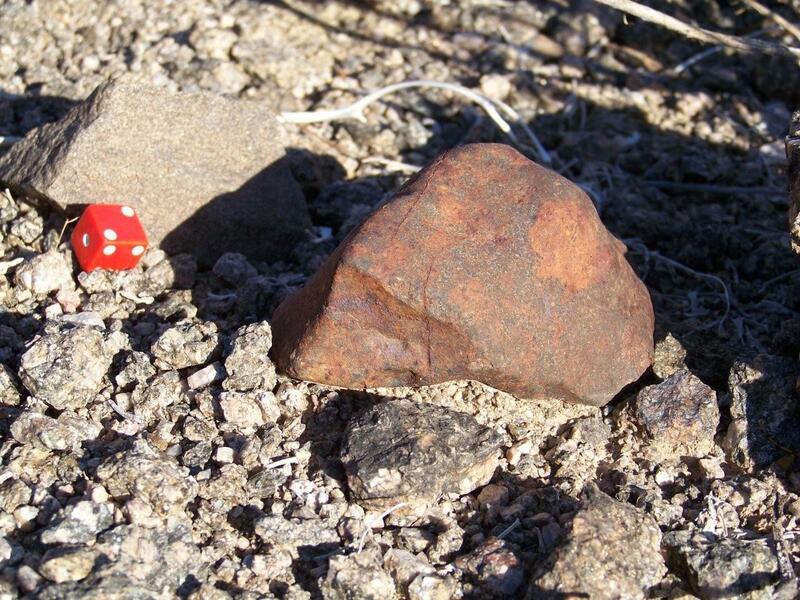 It’s one thing to find a meteorite but the real dream is to document a strewn field! 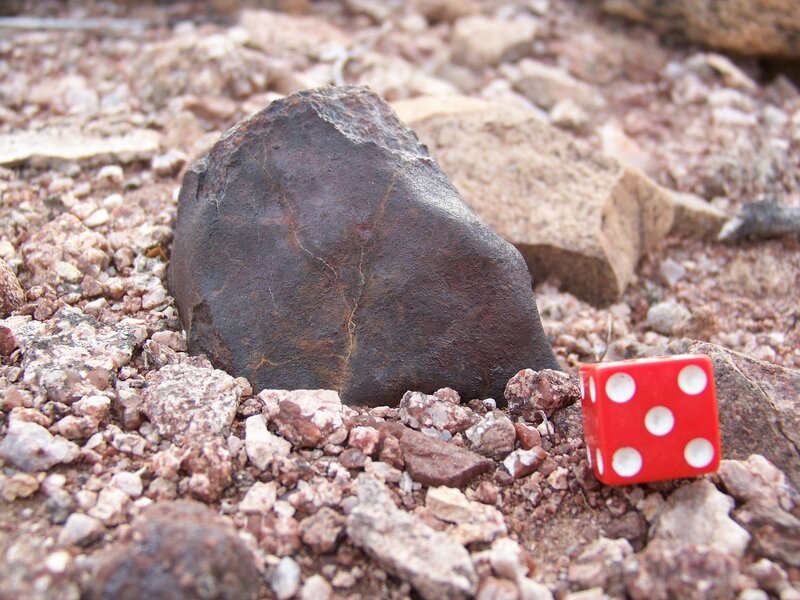 I have to say that I didn’t really know if it would ever happen, meteorites are about the rarest thing on the planet. 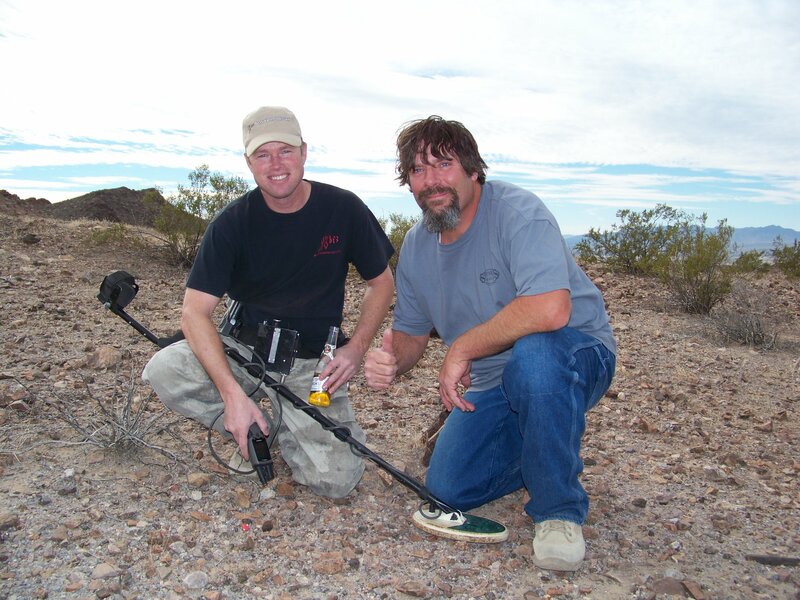 They are so rare that you can spend a week smack in the center of a strewn field, hunt from sun up to sun down everyday and not find one, no joke! 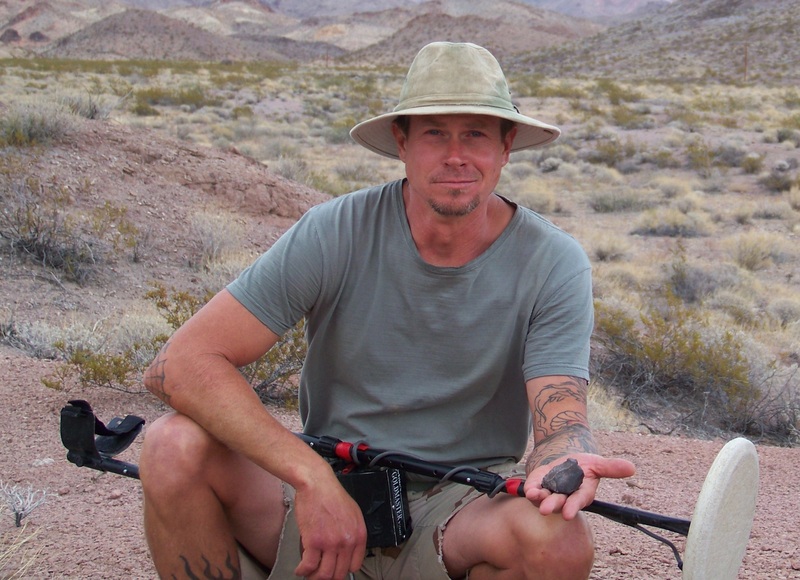 I thank Todd Parker for calling me on the phone when he made the first find, allowing me to play my role in the discovery and documentation of this new American strewn field. It could’ve been me. Before the discovery, I had looked at this exact area on Google Earth. Thinking it looked great, I mentioned it to a fella but was advised to stay out of the area because it was all National Park lands. I certainly didn’t want to get in trouble so I stayed out. What a mistake! Lesson learned, do your own research on an area, don’t rely on here say. 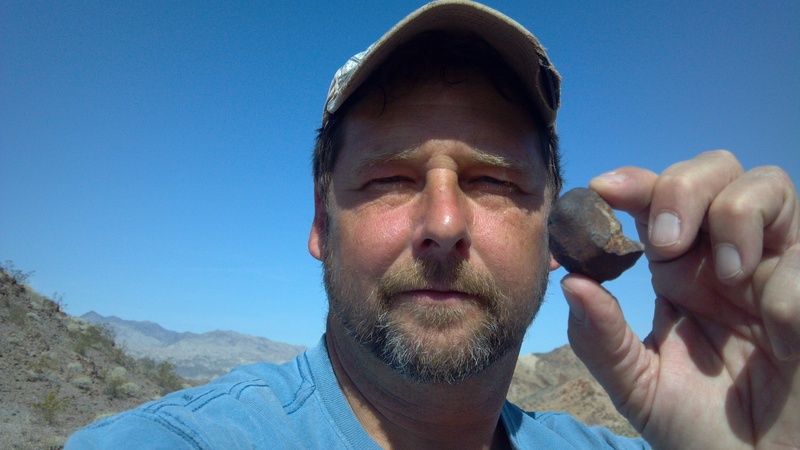 Some weeks later I got a call from Todd, he had found a meteorite! I was out in the Franconia area and headed his way as quick as I could. 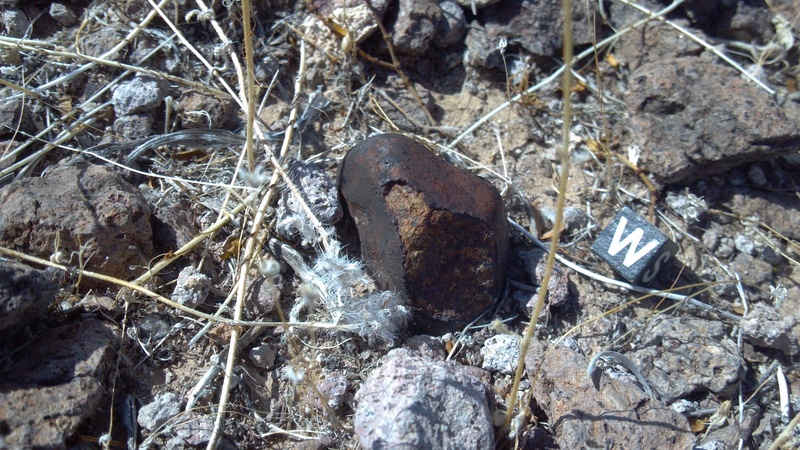 The find location was just east of the area I had been interested in, mentioned above, by several miles. 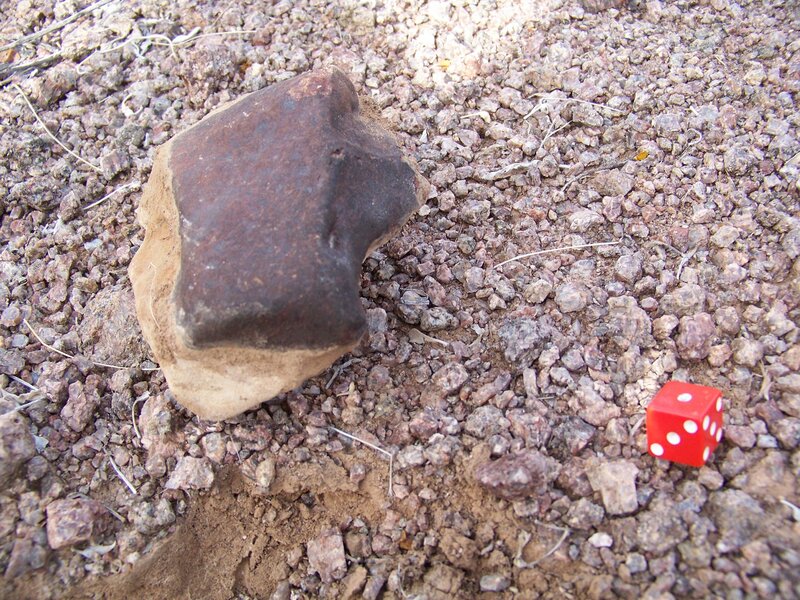 Now that a meteorite was found in the area I decided to see exactly where that National Park boundary actually was. What.. the area is wide open! 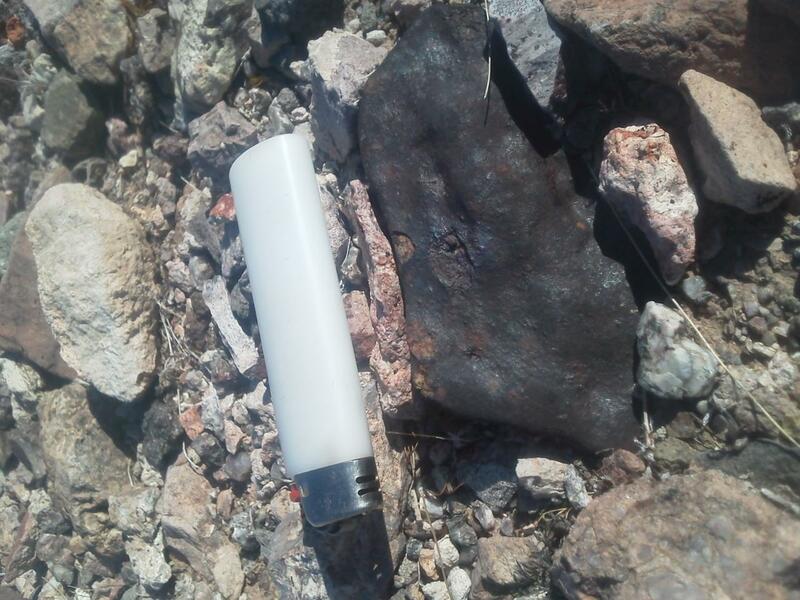 It’s not National Park land for quite a way, and there is the most beautiful ground a meteorite hunter has ever wanted to hunt! I can’t believe it. 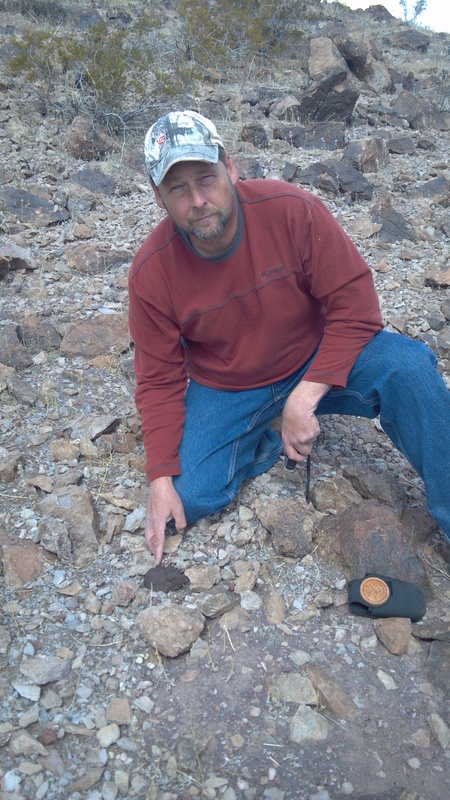 This was two days after Todd had made the initial, 3.1 gram find. 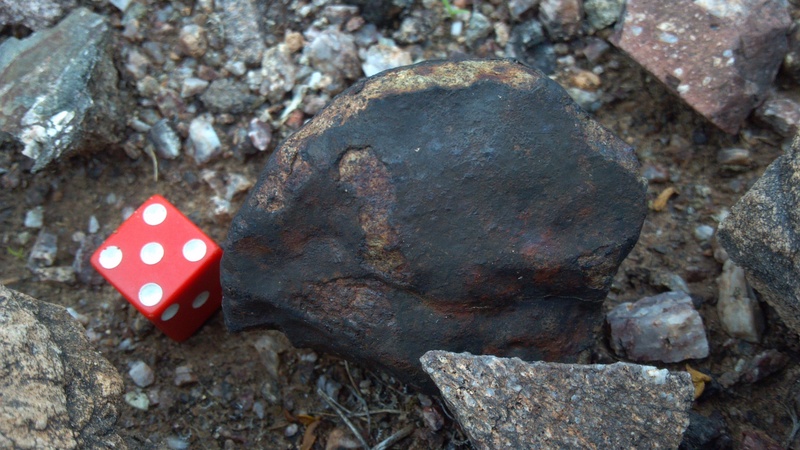 I headed to the field and practically ran straight to a meteorite! 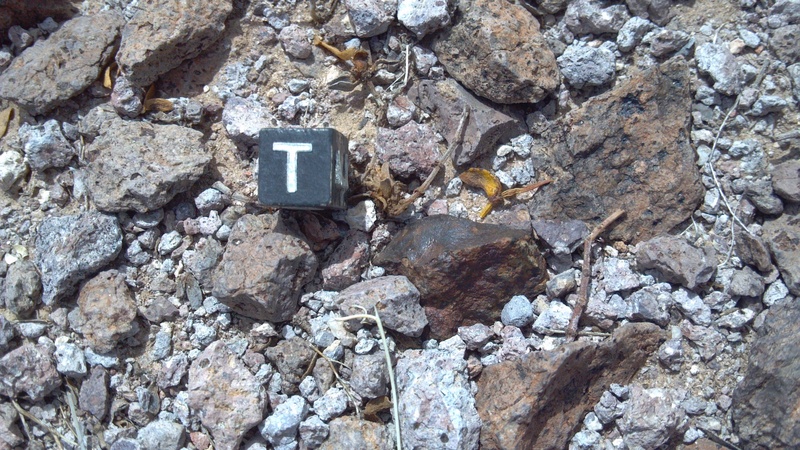 I was about 3.5 miles from Todd’s initial find. 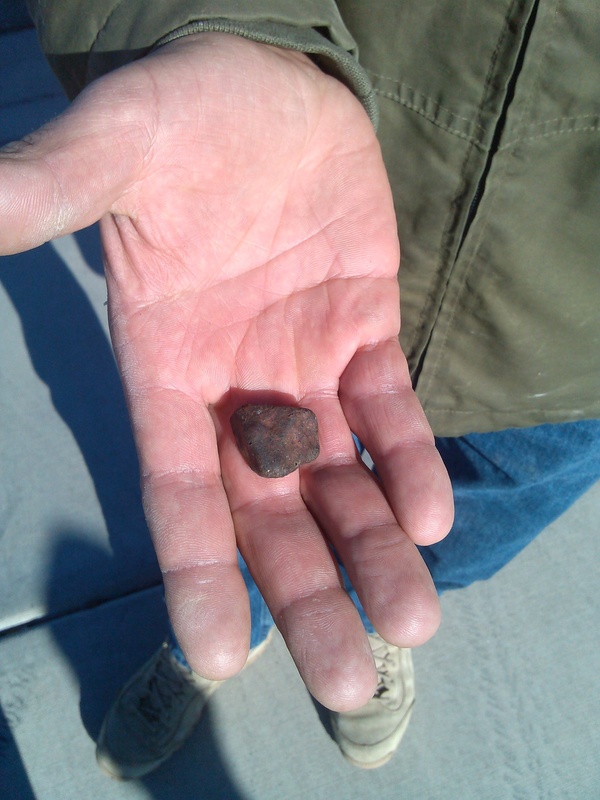 A few days later Todd and I realized the 2 stones were likely paired after windowing them. I went on to find the next 6 meteorites and a classic strewn field started to unfold. 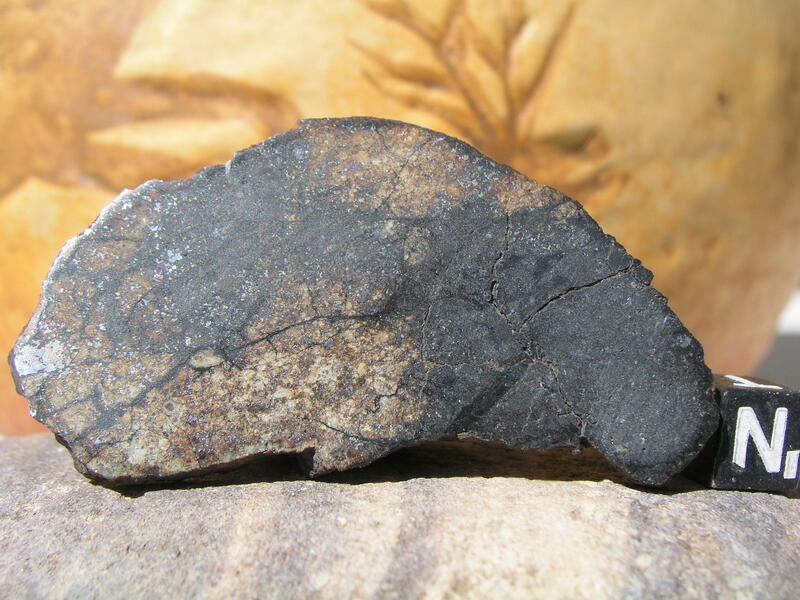 Over the next 3 years several well seasoned hunters spent a huge amount of effort and resources, blood and sweat , looking for more material, and at the time of this writing only 19 or 20 meteorites have been found. 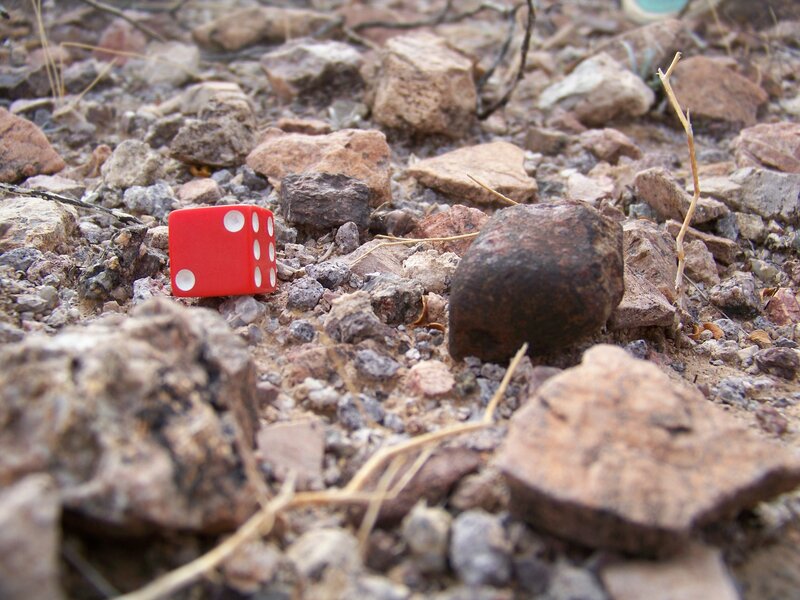 If you decide to go out there know one thing, the odds are not in your favor! Getting this strewn field recognized on it’s own merit was quite an undertaking as well. 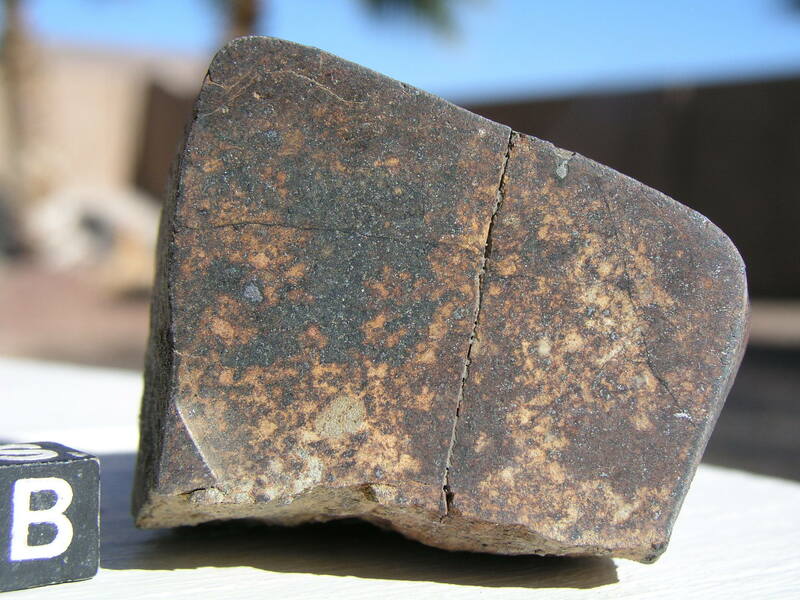 I had submitted meteorites to the Nom Com in the past and never had a problem. This one was a little more challenging. “Katherine Landing” was the working name of this new strewn field and was the name we requested in our original submission to the Nomenclature Committee. However, we were shot down in flames! The first round of voting garnered 0 yes votes. 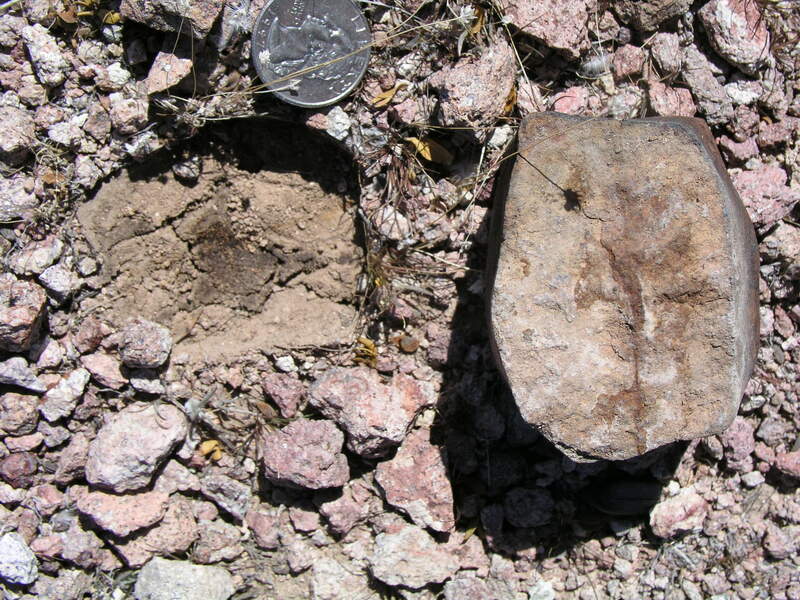 It was recommended by a few of the voters that the area be deemed “Thumb Butte Dense Collection Area” after a chondrite that was found nearby some years ago. Thumb Butte is a single stone that is in no way related to the strewn field so we saw this as an unacceptable resolution. In private conversations I had with different people in the know, I was advised that it was unlikely I would sway the Nom Com, to get all of them to switch to a “yes” vote. After many emails and a lot of perseverance we prevailed, and the strewn field is recognized for what it is. 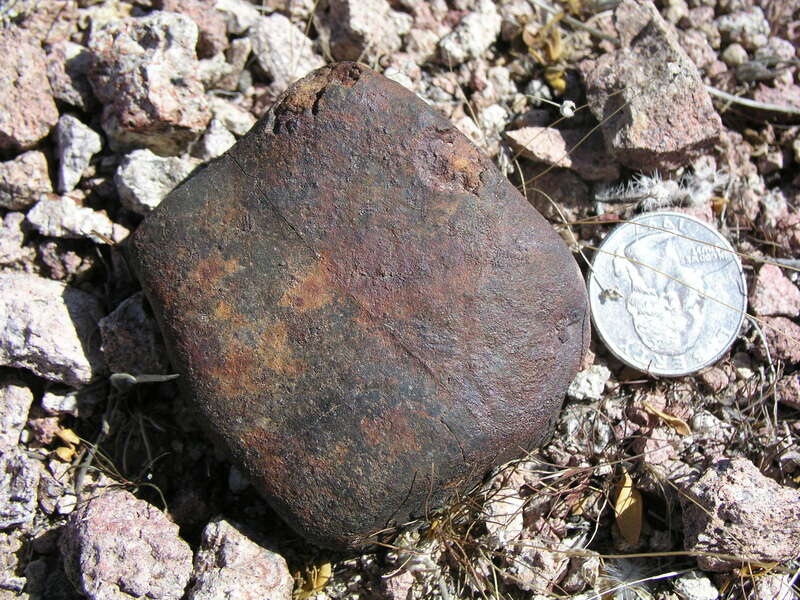 Had we given up it would have been a great loss to American meteorite history as far as I’m concerned. 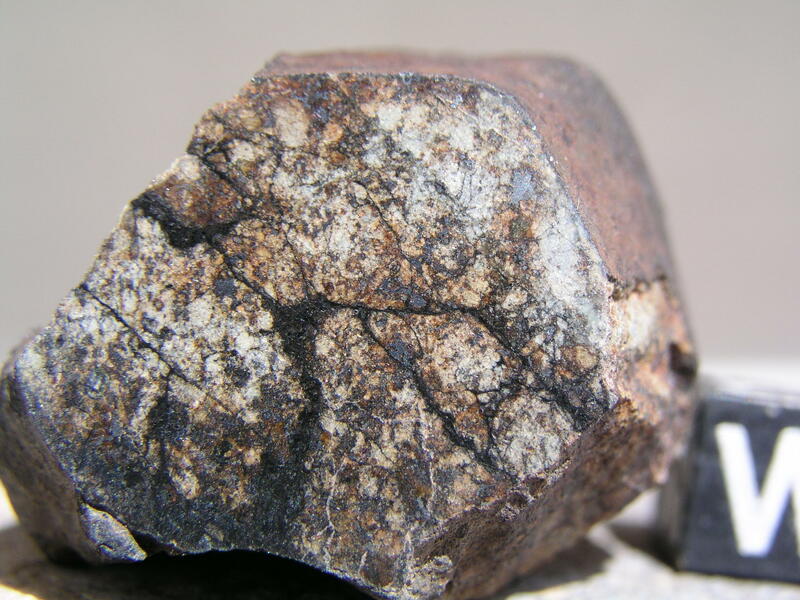 These are beautiful, interesting chondrites, spread out over a predictable ellipse, that deserve to be recognized on their own merit and not bunched up into a practically meaningless DCA. Todd’s 3.1 gram. The one that started it all. 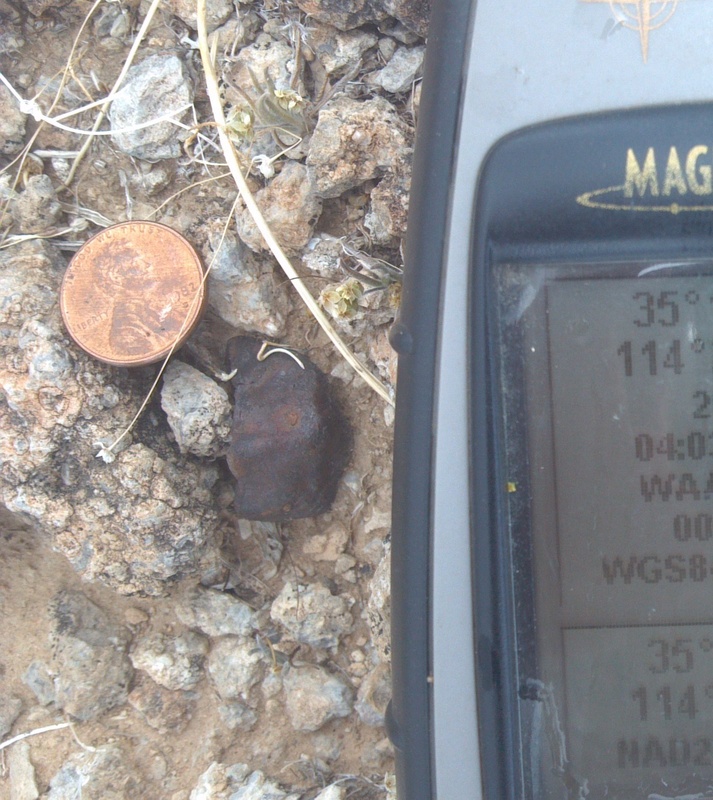 My First Bullhead City meteorite, 103 grams. 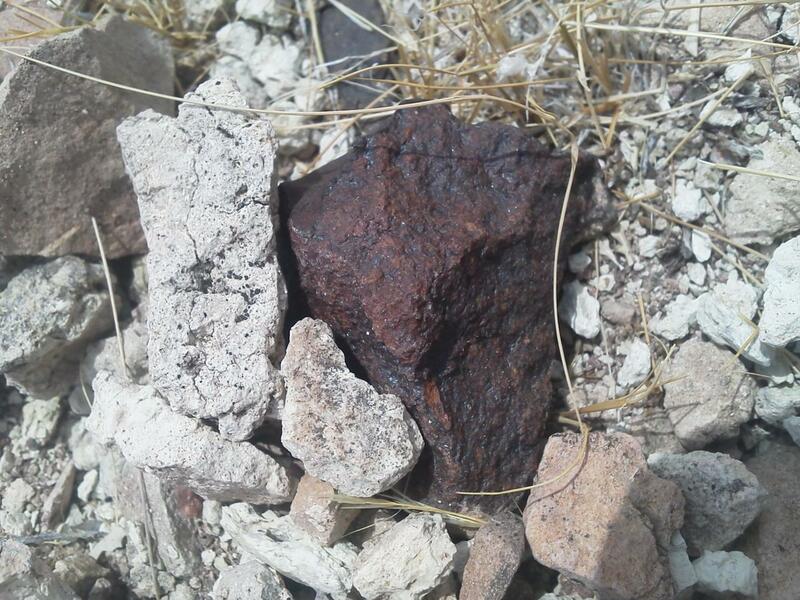 Found ~3.5 miles from the original 3.1 find. 16 gram piece downhill from the 103g. 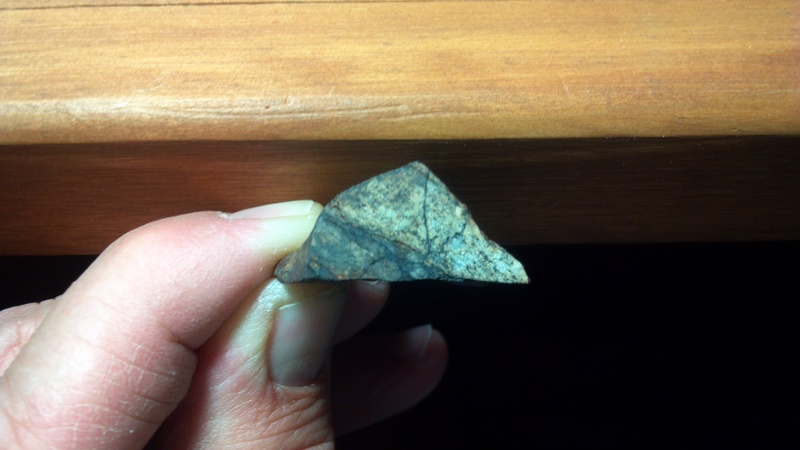 The missing piece from the 103 g specimen above. 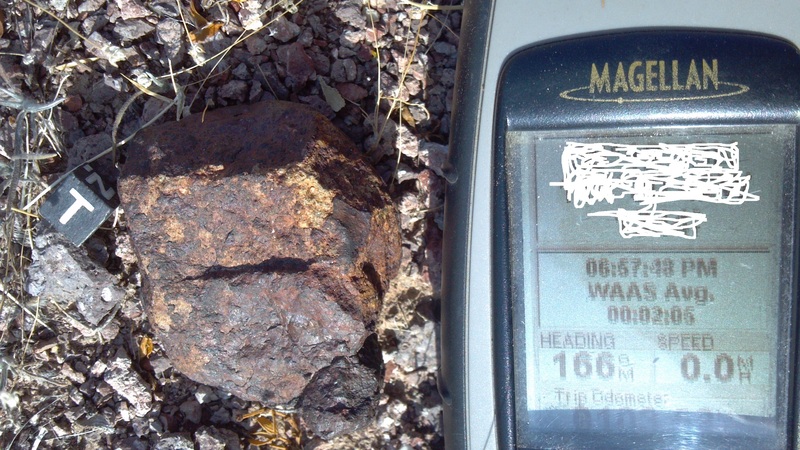 It was just down the hill about 75 feet and weighs 16 grams. 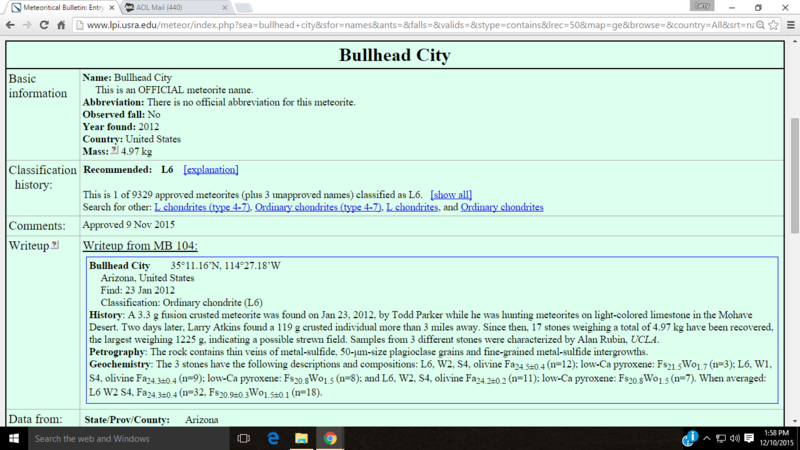 It’s also one of the 3 specimens characterized at UCLA for classification. 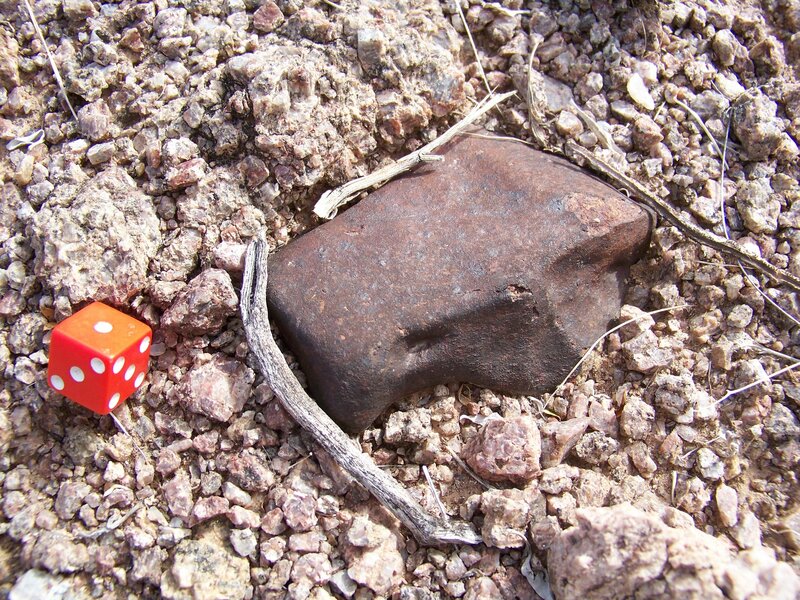 Another find and photo by Todd Parker. Found Dec. 18, 2012 160 grams, nice one! A find by Joe Franske. Another find by Joe Franske. 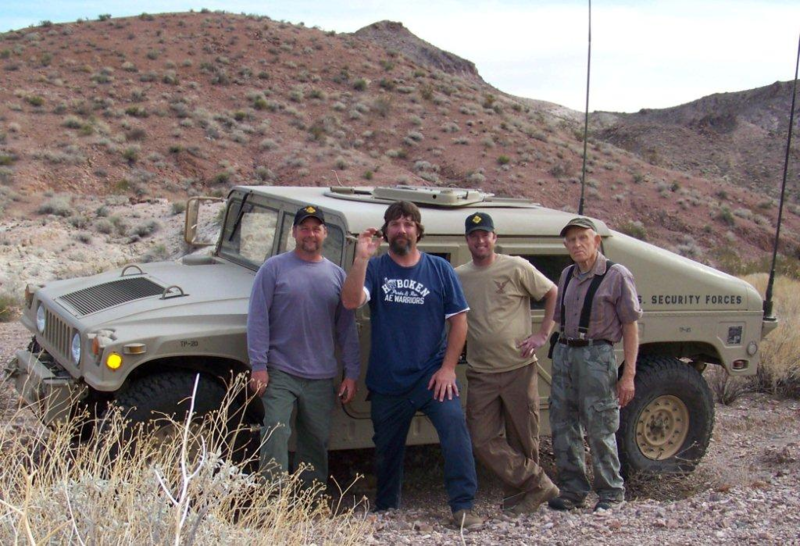 The ‘A Team’ From the Left, Me, Todd with a find! Robert Ward and Larry Sloan. Photo credit Todd Parker. My 251.6 gram. 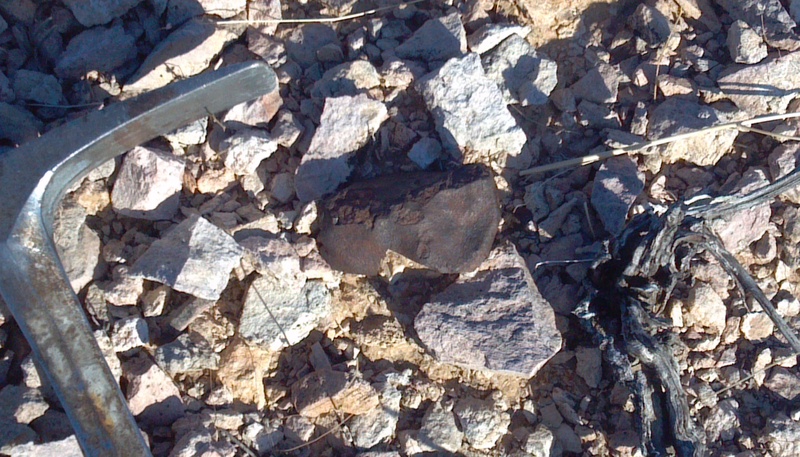 I found it just feet from where 1970’s era prospectors had been working. I’m sure this stone was setting there at that time. I was taking selfies before I heard the term! The 251.6 gram cut. 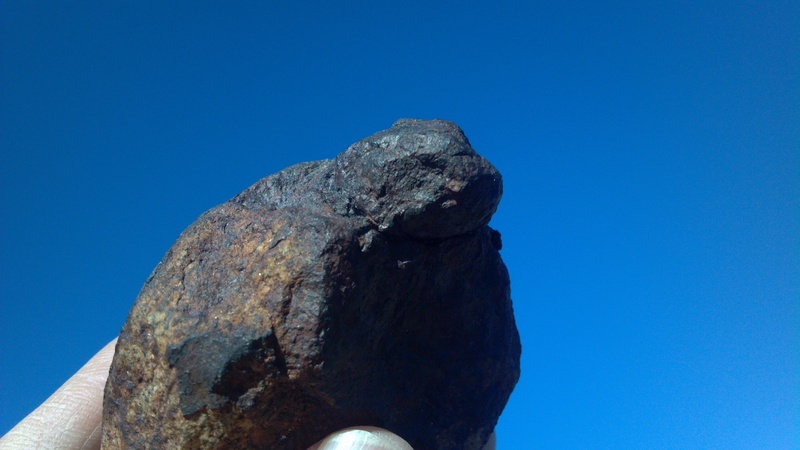 It was one of the 3 stones sent to UCLA for characterization. All three stones paired. My 181.6 gram find. 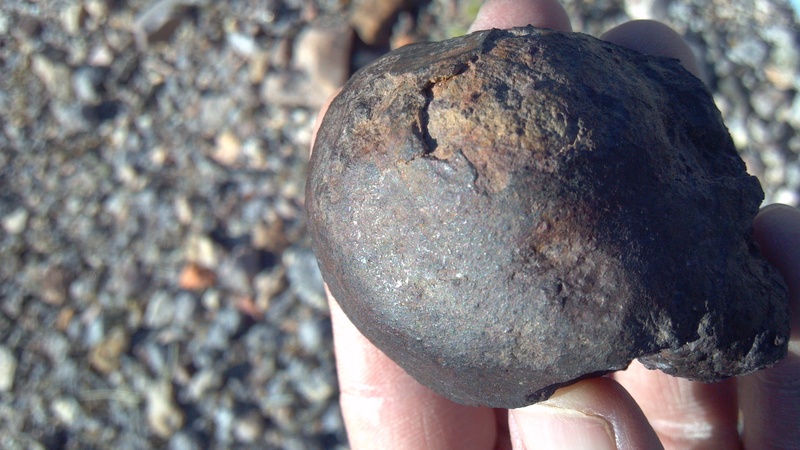 It was one of the coolest shaped meteorites I’ve found, It had a muffin top and was oriented. 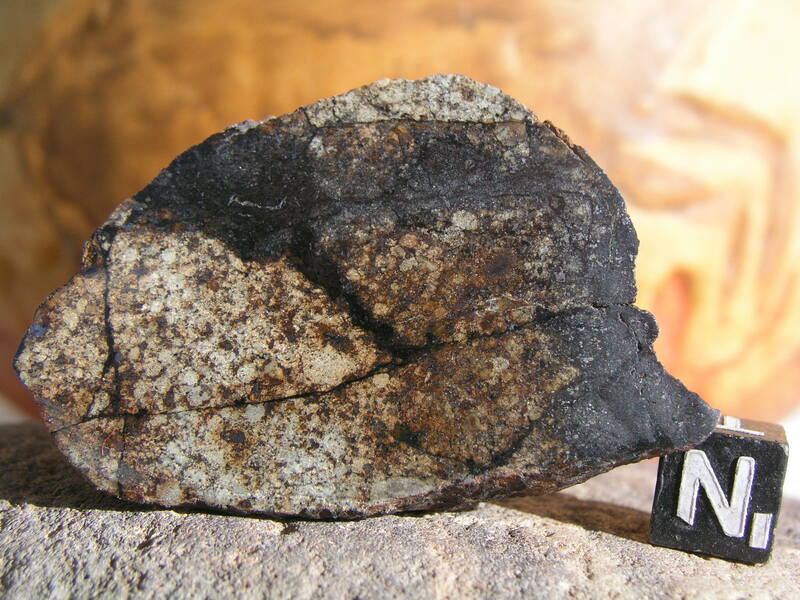 The lobe on the bottom left of the meteorite was pure black, bubbly shock material! A slice from the 181.6 g find. Note the shock, extraordinary material! End Cut from my 181 gram find. 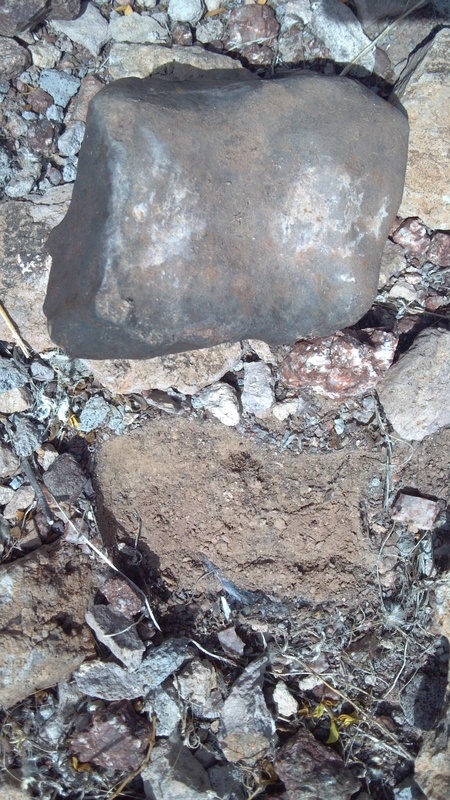 One of the type specimens came from this stone. 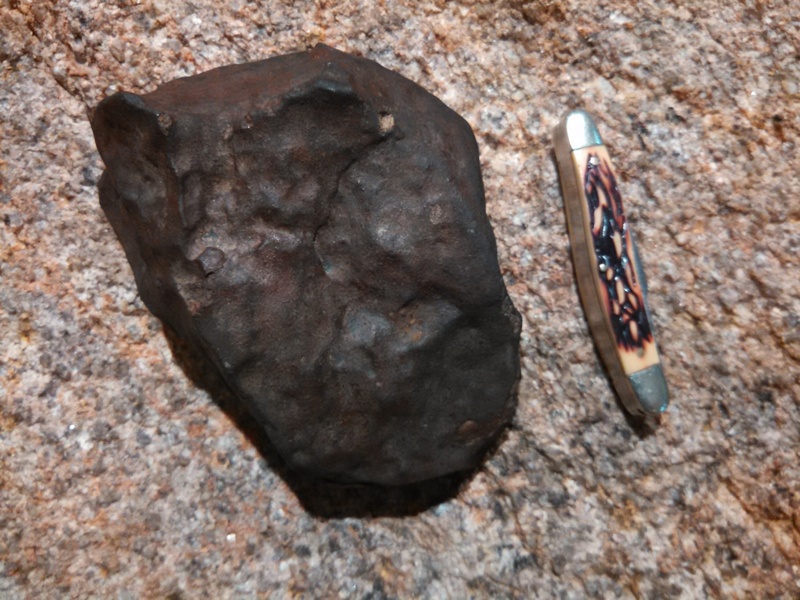 344 gram Bullhead City Meteorite I found. 99% crusted. 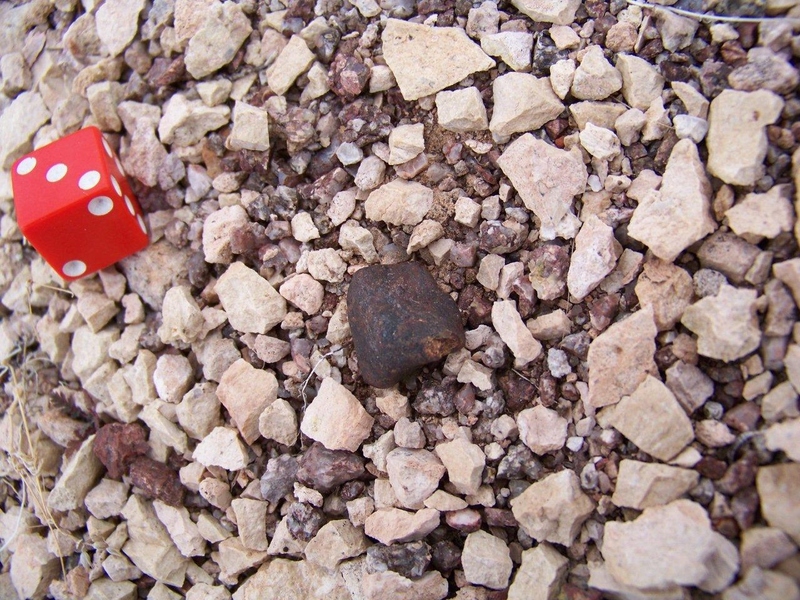 38.1 gram in- situ. 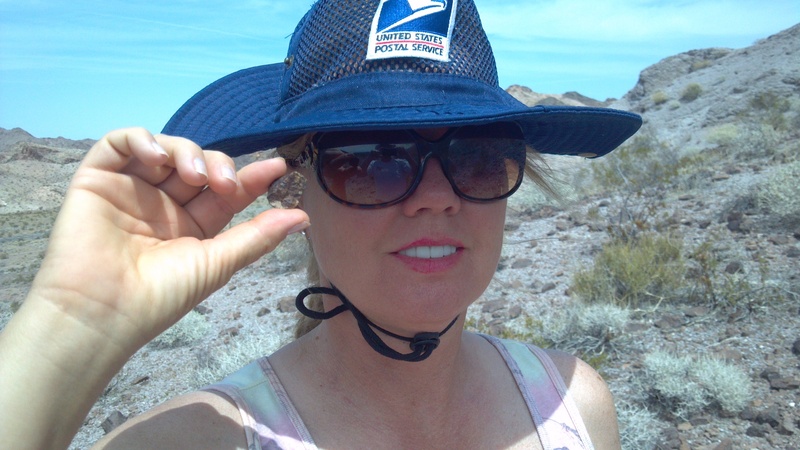 Lisa found a 6.2 gram piece that fit onto it. The 38.1 gram windowed. Stunning! 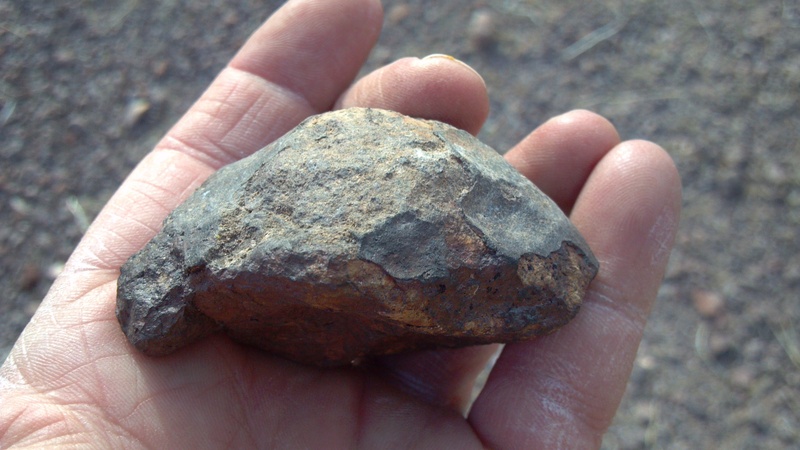 The current Main Mass, found by an anonymous prospector. A funny story.. 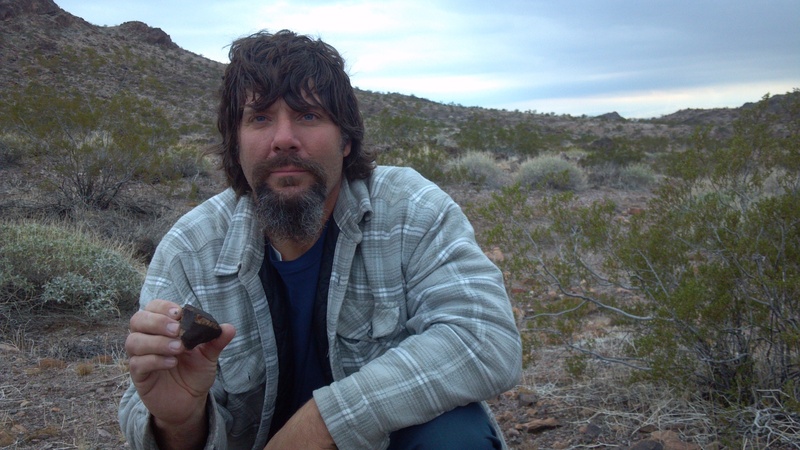 The prospector brought this stone to Keith Jenkerson who took one look at the stone and said, ” I know where you found that.” Keith had previously cut one of my stones for me and had seen several others. 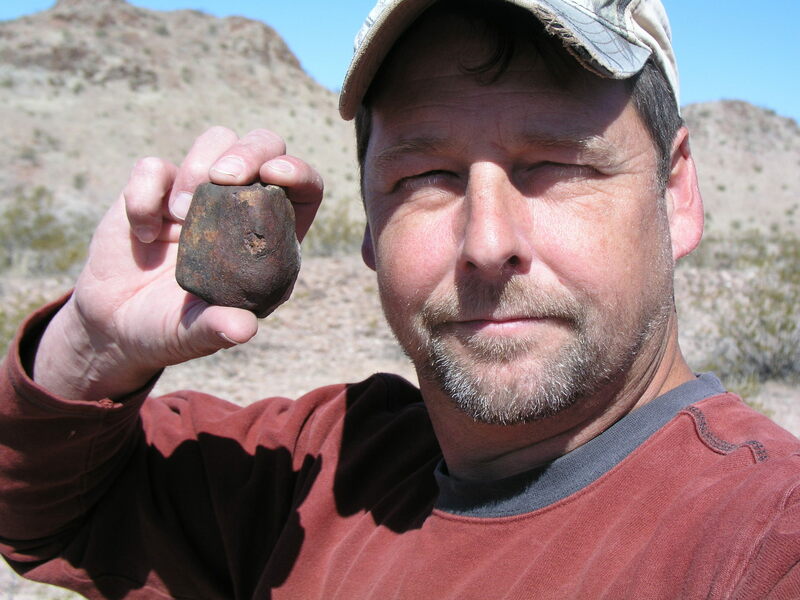 Bullhead City meteorites are very distinguishable and a practiced eye can spot one right away.